We are currently in the process of getting impaneled and negotiating contract with several insurance companies to provide non-emergency medical transportation to their members. However, currently we are only able to offer insurance covered transportation to Medicaid recipients through the state broker,Logisticare. In Utah, we serve the entire Wasatch Front, and, in Washington, we serve Clallam County, Jefferson County and Pierce County. 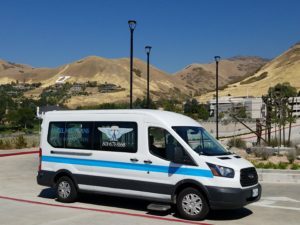 Under certain circumstance, we will transport passengers throughout Utah and Washington. For trips outside of Salt Lake County, Clallam County, Jefferson County and Pierce County, we will usually charge an “unloaded” mileage fee. Please, give us a call if you would like more information. We accept all methods of payment from cash, personal check, and credit card. For private pay passengers we require payment at the time of service. 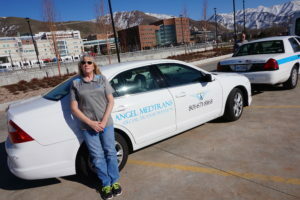 For Medicaid recipients, please book your trip through Logisticare and request Angel MedTrans. 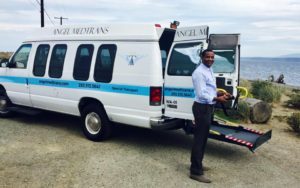 To find out if your insurance covers non-emergency medical transportation, please contact your insurance carrier, or give us a call to see if we are impaneled with your network.